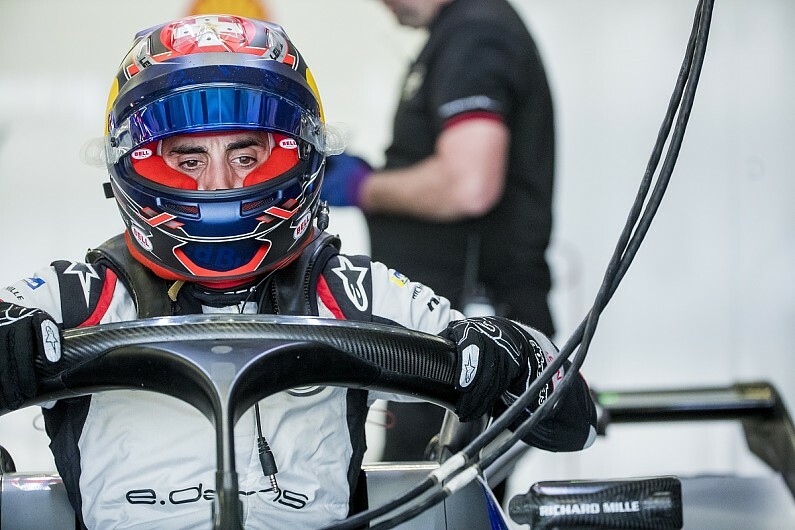 The Nissan e.dams team has warned its ABB FIA Formula E rivals not to "forget" Sebastien Buemi, asserting he will bounce back from a disappointing season in Rome. Buemi lies 13th in the drivers' standings and was hit with a brake system penalty in Sanya after crashing out of superpole. He then finished eighth in the race after a clash with Envision Virgin Racing's Robin Frijns. The one-time FE champion also crashed out of the lead in Santiago, ran out of energy in Mexico after a team strategy miscalculation and retired with a suspension problem in Hong Kong. "[Buemi] started from the back and he was flying, he recovered until P6 and it was a very feisty race [in Sanya]," Sicard told Autosport. "He had some trouble, but finally we are losing 10s penalty for [the Frijns incident], finishing P8. Asked about the Santiago problems, Sicard pointed to Buemi's free practice pace - topping the second session - as evidence: "I just want to mention that in FP2 he put three tenths to everybody. "So once again, don't forget that Seb is still there." Buemi told Autosport that "every time I'm telling you the same thing," in that he has been unable to translate pace into a result, adding "every time I'm telling you I'm quick, it's going to happen". Swiss driver has previously stated his frustration at having what he perceives to be a stronger car in 2018/19, but being unable to demonstrate its potential more regularly.